The Interior Ministry says it wants to protect Brits' rights in Finland, but hasn’t said how will do so. British citizens living in Finland have expressed frustration over the uncertainty of their status in Finland after the UK exits the European Union at the end of March. The Finnish Government has said it wants to protect UK citizens' rights to live, work and study in Finland after Brexit, but has not provided any details on how that will happen. Long-term Finland resident Tim Bird told Yle News, "I've lived here since 1982. Unless I am missing something, I don't feel like the Finnish government has done much to reassure us, but then I guess that is at least partly because they are uncertain, too." "I can't believe that anyone with the ties I have to Finland is going to be suddenly required to leave the country, but I would expect there to be some bureaucratic implications. And I don't know exactly what form they will take." Stephen Penny, a finance worker originally from Poole, England, is also worried about the process of applying for residency. "It's a bureaucratic pain in the backside, the paperwork, the cost, pensions, healthcare." When asked what the Finnish government could do to put his concerns to rest, he told Yle News, "Give us a clear idea of what the plans are going to be either way. Even if it’s not going to be to people’s liking, it’d be good to know up front." That kind of reassurance is not currently on the agenda. On Tuesday the Finnish Immigration Service Migri said that it is "currently unable" to tell Brits in Finland what they need to do to safeguard their status after Brexit day – which is currently pencilled in for 29 March. Migri's current official advice to UK citizens in Finland is to make sure they are registered as legal residents before Brexit. "The registration might be of advantage if the United Kingdom decides to withdraw from the EU and British citizens are required to apply for a residence permit in Finland in the same way as any other so called third-country nationals." A press release issued by the Interior Ministry on Tuesday states that "Finland wishes to protect the opportunities for citizens of the United Kingdom to live, work and study in Finland in the future, too, even after the United Kingdom’s withdrawal from the European Union." 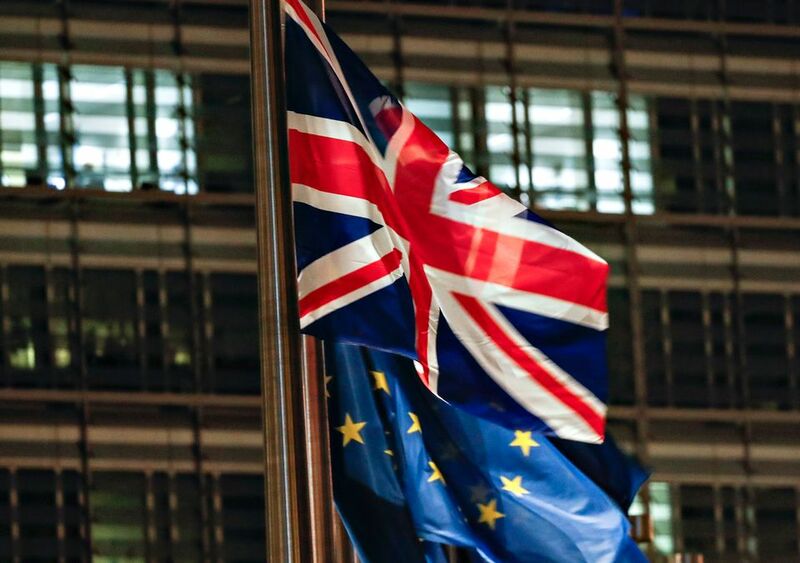 The statement, posted on the Interior Ministry's website, says that in the event of a so-called 'no-deal Brexit' – which is where the United Kingdom leaves without any agreements in place on its future relationship with the EU – UK citizens' legal status will change overnight to that of 'third-country nationals'. This means British people currently living in Finland could be forced to re-apply for residency on the same terms that currently apply to non-EU migrants in Finland. According to the Interior Ministry, the application process is intended to be "as quick and flexible as possible." When Yle News asked for clarification on this and other points in the press release, an Interior Ministry spokesperson said he "cannot answer your questions at the moment," but that there would be more information available in early February. Some other EU member states have already made clear what will happen to their British residents after 29 March. The Estonian public broadcaster ERR reported on Monday that Estonian MPs were due to vote on a bill that would guarantee British citizens in Estonia the same rights they currently have, even in the case of a no-deal Brexit. "It is important to be ready for all scenarios so that those Britons living here could maintain certainty about their future," the chair of the Estonian Parliament's Constitutional Committee, Marko Pomerants said in a statement. The Estonian bill, which will allow UK citizens in Estonia to keep the same rights they currently have, even in the case of a no-deal Brexit, will go to its first reading in the Estonian parliament on 23 January. Brits in Finland are not so lucky as their Estonian counterparts. "I think I, like a lot of other Brits, are concerned about the Finnish government's reaction to Brexit. While the German government has given many positive notices about British nationals, Finland has been less forthcoming," Finnish resident Leo Stockford told Yle News. "I'm lucky in that I have a job which pays above the income requirements, and as as someone married to a Finn, it makes it all a lot easier. However, I work with a lot of people who have to apply for residency every year, and it's not a simple thing," he added. Some expats say the whole affair has adversely affected their health. "I was recently diagnosed with depression and anxiety and I am in no doubt that Brexit is the primary cause," said Maria Vatanen. "The sense of "nobody knows" has been an everyday concern for nearly three years – since the referendum was announced and campaigning began."